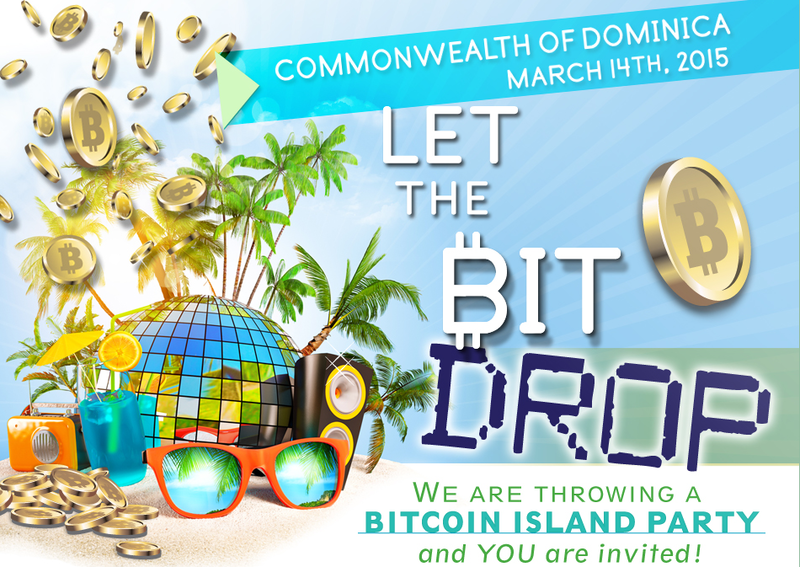 All 70,000 residents living on the Caribbean nation of Dominica will be eligible to receive bitcoin as part of ‘The Bit Drop’ project, an upcoming collaboration between bitcoin businesses, interest groups and local government officials. Scheduled to take place on 14th March, 2015, The Bit Drop will feature an island-wide party boasting ‘celebrities, musicians and supporters of bitcoin’, as well as education booths and free giveaways. The event will also coincide with Pi Day, an annual celebration of the mathematical constant π (pi). Speaking to CoinDesk, project manager Sarah Blincoe suggested the ambitious project started with a simple question: how do you get bitcoin into the hands of as many people as possible? From there, she explained, a plan was launched to distribute an undisclosed amount of bitcoin to island residents via text messaging. Project partners include bitcoin wallet and merchant processing provider Coinapult, international non-profit the College Cryptocurrency Network, women’s industry group Bitcoin Beauties and bitcoin-friendly insurance provider Aspen Assurance. 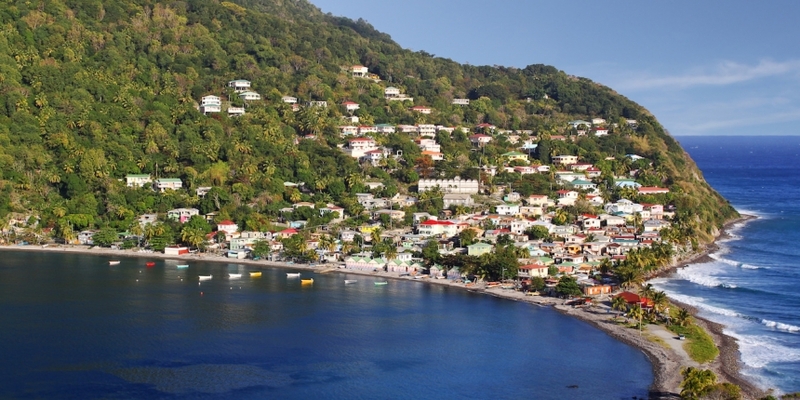 Dominica, with its relatively small population and gross domestic product (GDP), proved an ideal location for the event, according to Blincoe. Data from Eastern Caribbean Telecommunications Authority (ECTEL), a regulatory body overseeing telecommunications in Dominica, bolsters this claim, suggesting there were roughly 100,000 mobile subscriptions active in the country in 2012. 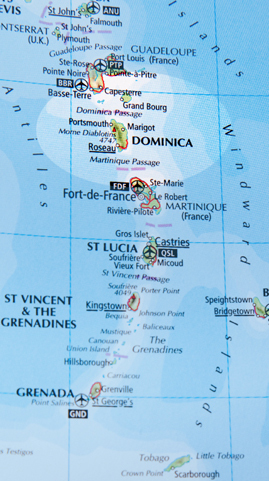 Additionally, bitcoin penetration is comparatively low in Dominica. There, the official Bitcoin-Qt wallet has only been downloaded roughly 160 times, suggesting bitcoin use is not widespread. Notably, this is not the first time that a group has sought to spread bitcoin use by targeting residents in a specific country with free digital currency. Iceland’s auroracoin project, for example, similarly sought to distribute a new digital currency to each one of the country’s citizens. Though that project was ultimately stymied by speculators, The Bit Drop could yield different results in that it will be using an already popular and comparatively stable currency. Further, Blincoe notes that the local government has given the project its full support. Two of the country’s five telecommunications providers will also be providing their support for the bitcoin distribution, Blincoe noted. Blincoe indicated that The Bit Drop project plans to extend its support to Dominica even after the festivities next March. In particular, she said it will provide bitcoin point-of-sale (POS) systems to merchants and install bitcoin ATMs on the island. Gardner added that College Cryptocurrency Network intends to start a bitcoin club at the island’s state university, and that CCN members will visit the country to help educate local bitcoin users. Correction: A previous version of this article attributed Jeremy Gardner’s quotes to College Cryptocurrency Network director of mid-Atlantic relations Patrick Cines.